Sponsored by Shelly Spalding and Wendy Kidd, Thank you! However she is ready for adoption! 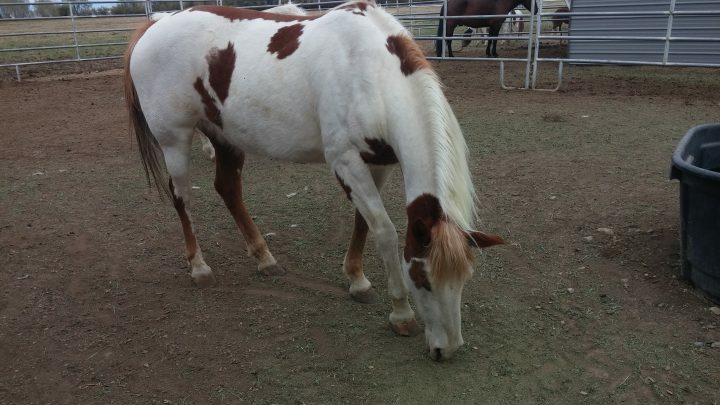 Rainbow was saved off a slaughter feed lot. She is paralyzed on one side of her face due to nerve damage from an old injury. This lucky girl caught the attention of the right people. A home stepped forward for her. Bail and board were raised. 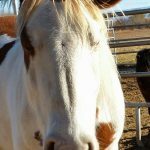 But a horse can not be pulled from this lot on donation except by a 501(c) non profit. This girls future was waiting for her but they needed the right documentation to get her out and on her way. So we said yes. 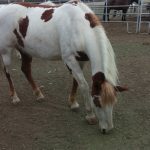 We, as a rescue, will pull this horse so she can get out of that horrible place and go home with her new mother. It was the perfect plan. Except things rarely go as planned, and so it things didn't work out with her new mother. As if poor Rainbow hasn't been let down enough, the day after she was bailed the home backed out. 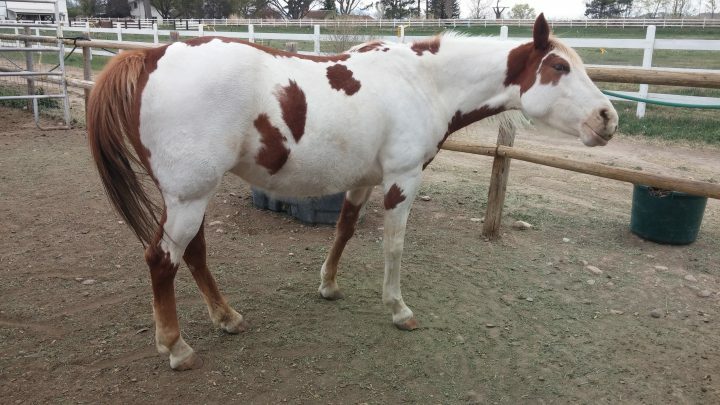 Now she is sitting in the feed lot, not at risk of shipping but with no where to go. The money to board her at the lot until the owner could come had run out and no one was there to pick her up. We were not prepared to take on another horse. 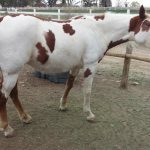 This mare was supposed to have a home. But we couldn't just leave her there! 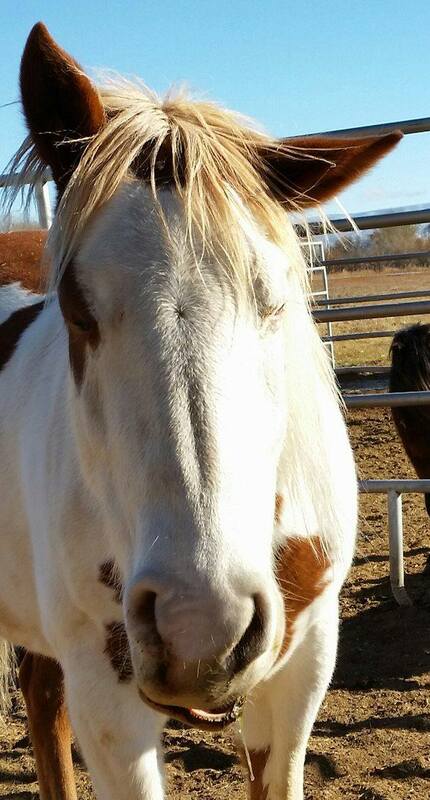 After frantically making calls and arrangements Rainbow was picked up by a friend of our Executive Director and taken to her place for some body work and rest. But she couldn't stay there for long. In a sea of chaos we were able to get her picked up and brought to our facility. Rainbow is safe now. She is with us and getting the treatment she needs. She is slowly but surely creeping out of her shell and remarkably even though humans has caused her considerable trauma and pain, still has love for humans.